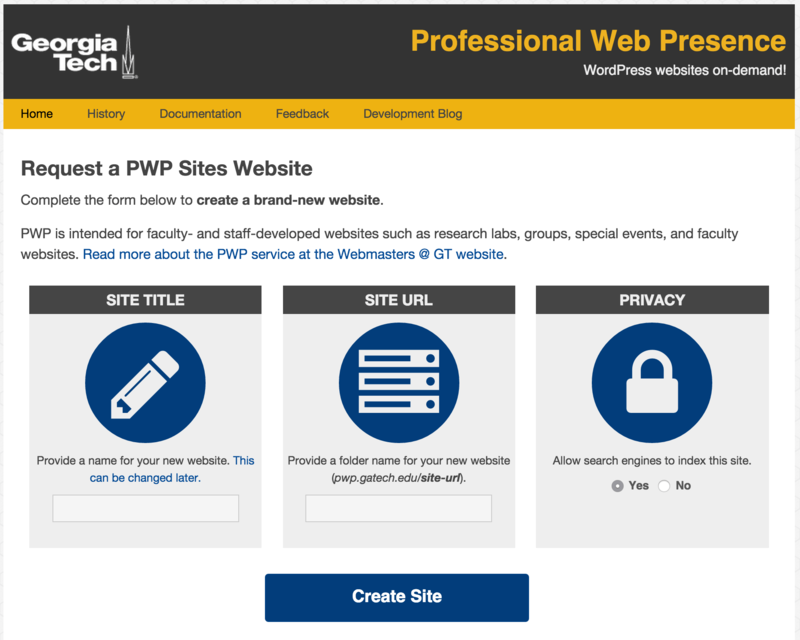 As part of the continued maturation process of PWP, we have rolled out a few new features for all PWP websites. 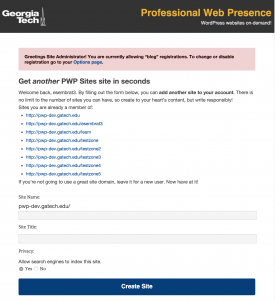 Plugin enabling/disabling is now a feature for PWP websites. Please contact us for any requests for plugins or features, as we’re always looking to add new plugins for usage. After some initial feedback, we have adjusted the sign-up page to be more aesthetically-pleasing and have sensible descriptions. The brand-new sign up page for new blogs. 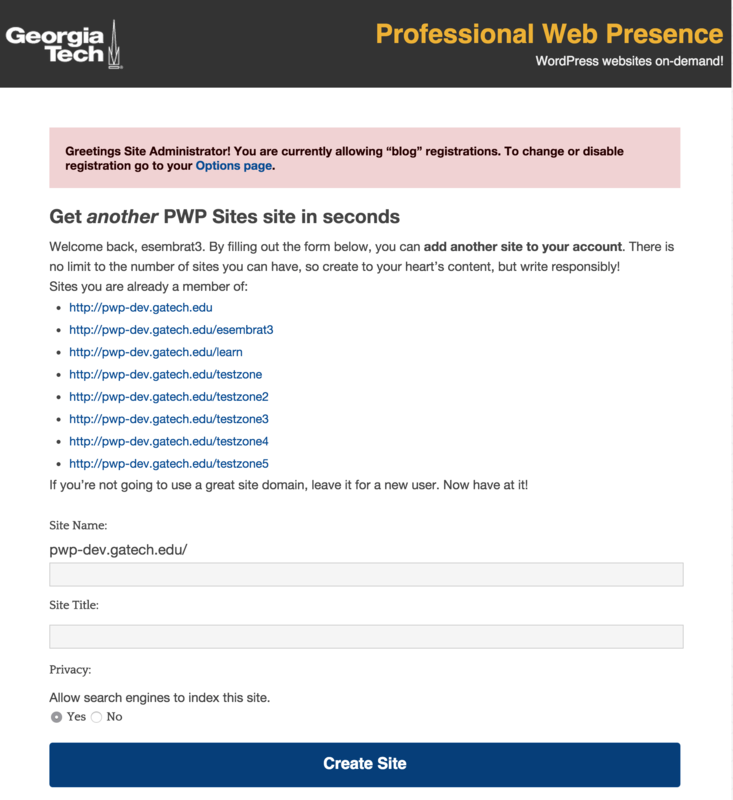 The old PWP sign-up page. Note the confusing and non-intuitive text.